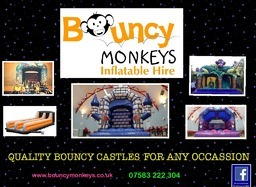 Who we are Bouncy Monkeys is a family run business providing bouncy castles to Hastings and the surrounding area. We have been established since 2012 and pride ourselves in providing a friendly professional service. Having kids ourselves we understand how important it is for your day to run smoothly, and how much fun kids have on bouncy castles! We pride ourselves in having fantastic quality inflatables that really do stand, for any occasion, and at good value. 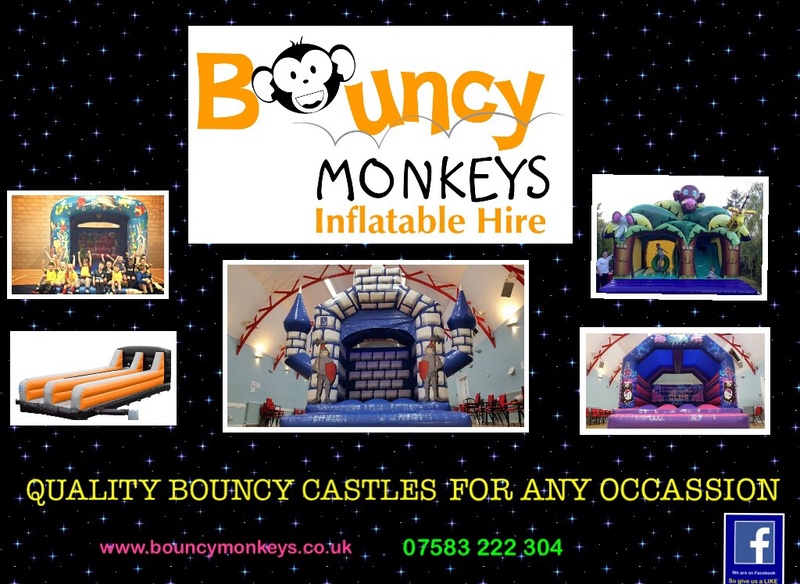 Bouncy Monkeys is the trusted company to many schools in the local area for events such as school fetes and sponsored bounce. We are the trusted provider for the biggest football school in Hastings little dribblers and sponsor their football team Hastings Wanderers. We provide inflatables for kids and adults for any occasion, from parties, weddings , garden parties and fetes. We pride ourselves in our professional service, please check our reviews on our website and Facebook page.